Sitting is the new smoking. And, yet, “sitting still” is the gold standard for good behavior in preschoolers? We continually design technologies to position and do and move for us. And, yet, we expect our littles to be more independent? Flat-head syndrome and asymmetry in babies (1 in 5!). Higher-level motor skills not reached in 5-year-olds, a sign they won’t be accomplished at all. Back pain in elementary students. High and rising rates of depression, anxiety with all the secondary consequences in adolescents. The skyrocketing incidence of metabolic disease, obesity, emotional health breakdown. We are failing at nourishing our bodies and brains with the movement required for optimal health. Only 22% of children get the required amount of exercise per day. And, it’s worse with adults…18%. But, when we design public places with escalators next to stairs (or worse, hide the stairs), is it any wonder? I frequently see people line up to get on the escalator when the stairs are EMPTY! We are waiting in line to not move even more! Doesn’t that seem CRAZY?!? But there are solutions. Many. And everyone can find one that works for them. You do not need to be an Olympian triathlete to reap the benefits of exercise. You just need to be aware and to choose to move. Behavior becomes biology. Form follows function. Our skeletons were designed to walk and run. Our brains were designed to feel, to process, to plan and execute, to problem solve, to create. The “soft-wired” integration of brain and body connections is plastic, malleable, adaptable, flexible. And we change the structure and chemistry of our brain DAILY! If we neglect one part, the other will “feel the pain.” If we feed both body and brain what each need, we don’t just survive, we THRIVE! And, the change happens as soon as you DECIDE and ACT. So, what happens when we DO move our bodies? When we do get outside? Just stepping outside and moving your body decreases your worry and anxiety. Even if you can’t directly control the circumstances around you, you can change the way you respond. Being outside helps you to get present in the NOW. You relax, you feel connected and nourished, integrated and whole. You feel FREE and, therefore, better equipped to respond. Enhances learning capacity. 20 minutes of exercise where your heart rate is at 70-90% of its maximum increases your focus and learning capacity for up to four HOURS afterward. Just think what our kids could learn if PE were FIRST in the day. Before-school running/ninja warrior clubs come to mind. It’s NOT just about more hours in the classroom. Let’s be strategic, effective and efficient. Boosts brain drivers! Exercise modulates and enhances the activity of dopamine, norepinephrine, serotonin in the brain, responsible for how we feel, think, adapt, problem solve, remember, move, and keep our brain structure HEALTHY AND GROWING. The benefits are dosage-dependent, but it ALWAYS begins with ONE STEP. Improves your mood. This is a BIG one and I see it with myself, my husband and my children on a daily basis. 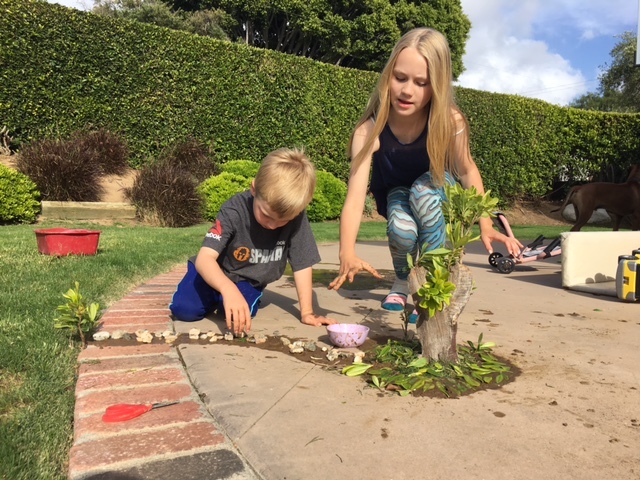 My kids know to send me outside or to the gym when I start to “lose it.” And I know that when kid behavior gets “crazy,” outside time with them (combining movement, outdoors and quality time) is GOLDEN! Increases your focus. Moms, multi-tasking is NOT something to aspire to. Sometimes it’s necessary, but it is not efficient and effective. Distractability isn’t just a “thing” for kids. Get some movement (dance, jumping jacks, high knees, mountain climbers, jumpies, you name it) and then define a “Power 20!” Give yourself ONE task and do it for 20 minutes. Be amazed at all that can be accomplished in a short time. Protects your brain. Just as pumping iron increases your muscle mass, exercise in the long-run increases brain growth, especially in the prefrontal cortex and hippocampus. These areas are essential for executive functioning and laying down memories. The more robust they are, the stronger foundation there is for any neuro-degeneration in the future. Do the work NOW and CONSISTENTLY. I know we all say it, but you really have nothing if you don’t have your health. Take care of you, because YOU is all you have. Get moving! Launches you into high performance. You need (at minimum) 3-4 times per week of vigorous exercise, 30 minutes per session. BUT, even 5 minutes is better than NONE so as Nike says, “Just Do It!” Also, if you want to be a “high performer” in your life, increase that to 5x/week! Exercise is the MOST TRANSFORMATIVE thing you can do for yourself TODAY. Of course there are other physical, emotional, and psychological pillars of health required for maximum performance, but NONE of them have such a PROFOUND, IMMEDIATE effect as exercise. Take it to heart, practice it over and over, and inspire your kids to do the same. What about the flip side? When you don’t move, you limit your ability to participate (now and in the future); your heart strains to keep the blood moving; your muscles atrophy; you experience pain; your endurance plummets; your brain deteriorates; you are weak; you have trouble playing on the floor with your babies and grandbabies; you are frail and fragile, ready to break. Of course that’s not YOU, though…Right? The problem is, you won’t recognize any of the above until it’s reached a critical point. And you certainly won’t see the difference between where you are today and where you could be unless you commit to moving vigorously and often. A sedentary life is unhealthy. There is no way around it. 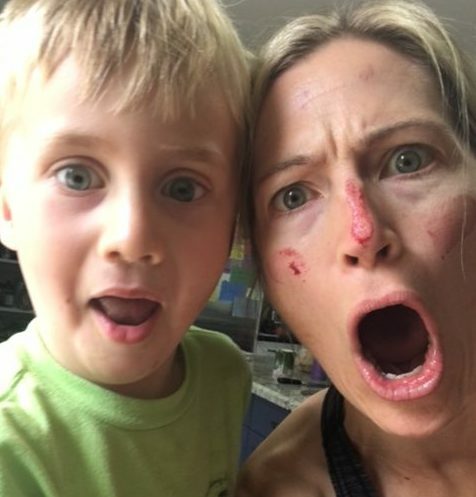 And it’s certainly the outcome your children will face if the love of moving and participating and pushing their body to the limits isn’t ingrained from an early age. It’s never too late to start, AND it’s always easier the earlier it becomes a habit. You don’t need to be a fine-tuned athlete or rugged outdoors person. If it’s like pulling teeth to get you out the door, it’s ok. Any type of movement can inspire and make a difference. You may need to dig a little deeper to find what lights you up, but I promise, it’s there. You have a body; it was designed to move, it wants to move, you just need to find what inspires. And, sometimes you have to climb Mt. Everest of resistance just to reach the start. If getting going is your pain point, recognize that and create a no-back-door situation so you stop fighting an unnecessary battle. Save the battle for when your body wants to quit! And, know that will power is not enough. A plan with best intentions is not enough. You need accountability. Make it fun and inspiring, think outside the box. Parkour, pole dancing, belly dancing, surfing, plyometric routine up and down your street (that was one of my favorite workouts in college). Meet a friend. Do it with your children and make it a game. I was trying to inspire my 6-year-old son to do pushups. He didn’t want to. I told him I’d hold a plank until he finished them. I almost died holding that plank, and eventually, he pushed up 5 times and LOVED that he “saved” me! Laughter all over. Oh, and if you laugh during your workout routine, you engage your core up to 40% more than doing core work alone! LAUGH A LOT! Bottom line, don’t overanalyze your resistance. Just take your first step and GO! Every time you conquer that resistance, you create a win. Every win builds confidence. Every repetition builds resilience and grit. 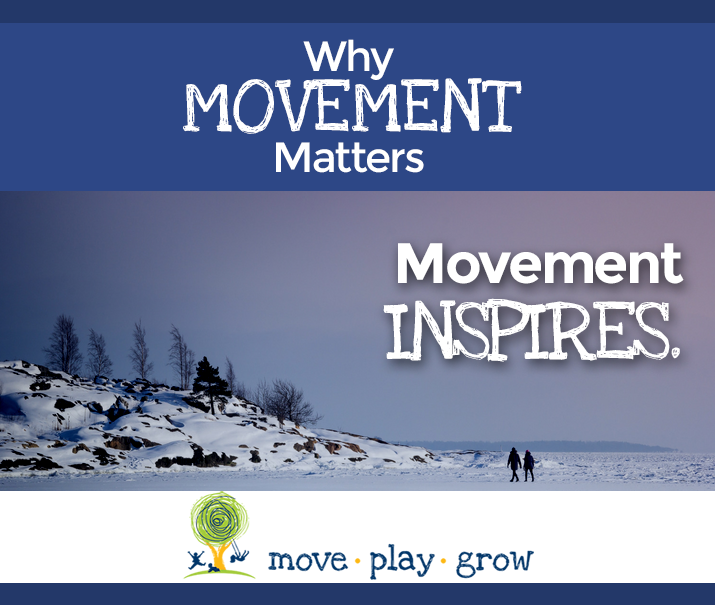 Every time you move, your body comes alive, and isn’t that what it’s all about? Create environments where movement is inspired. 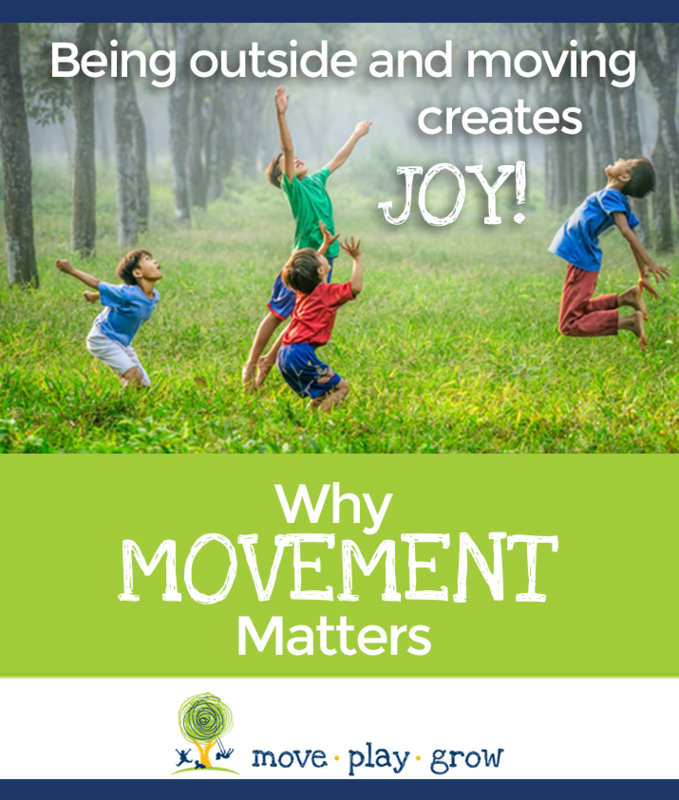 The more you and your children move, the more you receive the benefits of that movement. And, the more you move, the more you want to move. Let’s all get on the spiral upward. And, here’s the thing. It’s not just about your kids moving. It’s YOU moving WITH your kids. You don’t need to be there 100% of the time, but what they want is connection with you. Love them by moving with them, participating with them. If you happen to coach sports, create opportunities for parents to come out and play the last 5 minutes of practice. I’ve done this for a few years now and it is SOOOOO fun. The only rule is that parents CANNOT talk. Their children get to lead and instruct and inspire and initiate the connection with YOU! What if my child doesn’t want to move? Sometimes I meet a family who talks about their easy baby (sometimes labeling “lazy baby”) being content sitting still and watching. Usually, mom and dad aren’t worried. They are grateful for the break. However, in the back of my mind, I wonder, what could be possibly going on with this baby that they don’t feel comfortable moving? 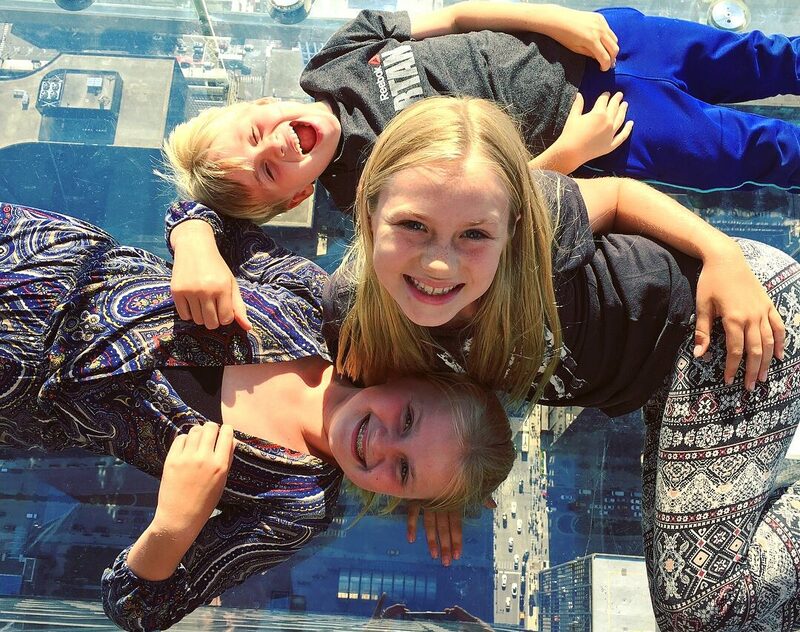 Often, these are the kiddos who end up having some more overt challenges later on. What to do? Don’t accept “Wait and See” as an answer. Don’t try to answer what’s going on with YOUR child by reading about other people’s children. Google casts a wide net, but it can’t go deep with you and your child. Everyone is unique and deserves to be seen as such. Schedule a screening or evaluation with a local pediatric physical therapist or occupational therapist. Get answers from the people who know infant and child development best. We are blessed to have bodies that feel, move, and connect. When we don’t move, we clog up our brain, our thoughts, and our emotions. Movement is essential to keep things free flowing. From day one until the day we say goodbye to this life, our body is our home. Honor it and give it what it needs. And then teach, show, and inspire your children the same. If you are local to San Diego, we have some AMAZING opportunities for your children! Click here to view our calendar of events. Be sure to join us on Facebook to experience all of our content as it happens, including “Mommy Minute with Wendi” every Tuesday and Thursday morning. Are you a Gardener or Weeder? We made it. I didn’t kill my baby. Can you relate to the thought? Breathe that sigh of relief? On my baby’s first birthday, we celebrated with our friends and family in the park, surrounded by nature, grassy hills, huge eucalyptus and sycamore trees, and bubbles, LOTS OF BUBBLES! I was completely OFF THE GRID last week, in the forested wilderness of Three Lakes, WI. It was heaven! Fifteen of my family members shared time and living quarters in a more than 100-year-old lodge on Butternut Lake. We disconnected from the “digital divide” and connected with wilderness and family members. We swam, read, painted, created art, talked, napped, played card and board games, water skied and tubed, caught and released frogs, snakes and crawdads, and fish. Why do we sit on the sidelines when we are perfectly capable of joining the game? When did you first know? When did you KNOW you wanted to be a mom? As kids, we are surrounded by the idea of family, because we are living it all the time. For most of us, it’s engrained socially and culturally from the very beginning. Having a family is an expected part of existence and is often assumed that eventually, we will do the same thing. Of course, the weather is warm and the days are long, but can I tell you…I love summer because of the free time. 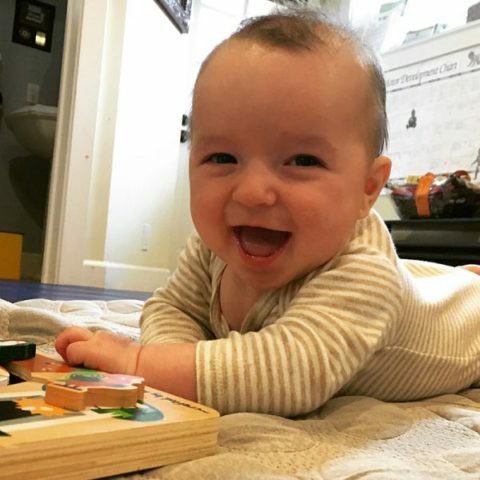 Just yesterday, as most days, a colleague at Kids Unlimited posted an excerpt talking about the importance of tummy time. Some responses offered an alternative article written on the RIE/Janet Lansbury blog highlighting the case against tummy time. I would like to directly respond to this article. There is much of RIE, Resources for Infant Educarers, I love and respect and use on a daily basis with my patients, clients and children. However, I do not agree with their beliefs on tummy time. Does our Culture Help or Hinder? Move Play Grow is three years old and I now have a “preschooler” on my hands. I’ve learned so much from the over 450 babies and families I’ve taught in that time and I want to take this moment to thank you all, to share some great photos of my happy babies in tummy time, and of course to offer some tips to help the next generation of happy tummy timers! See you in class! The world has become increasingly sedentary. We sit at home, at work, at school, in the car, on our computers and devices. We rarely move intentionally anymore. Pedestrians are getting hit at an alarming rate because they don’t look up. DOWN at your device. We aren’t moving our bodies they way they were designed and there is a growing epidemic of pain, starting at younger ages, even elementary school. Why aren’t we moving outside?. Is it fear of the unknown, wanting to protect and monitor our littles all the time? Is it inconvenient? Is it for lack of time? Do you know your neighbors? Ever ask for an egg or some butter? When was the last time your kids had a spontaneous playdate in the neighborhood? When was the last time your neighborhood had a street party? I am a firm believer that our behavior becomes our biology and that our form follows our function. Our skeletons were designed to walk and run and we aren’t doing very much of that anymore. There is an integration of our brain to our body and our body back to our brain so if we don’t use our brain the way it was meant to be used… and we don’t use our body the way it was meant to be used… then neither one will work as well. When you get outside and move, it frees up your worries. While your issues at hand don’t change, your response to them does. Being outside and moving decreases your worry and anxiety. You kind of relax because when you’re outside you feel connected to the earth that’s holding you. You feel nourished by the wind that crosses your face and the fresh air that you breathe in. And with every breath that you take you feel small and worry-free again. When you don’t move, you forget your place in the world, and you forget how important you are as an individual. When you get connected to your body and your brain you become integrated with the community, your family, and your friends. You will start to feel abundant and realize that without you, this world is a different place. Don’t get me wrong, you don’t need to be someone who is a rugged outdoors person. If it’s more like pulling teeth to get you out the door, it’s ok. Any type of movement can be inspirational. I want to share a story about a colleague friend of mine. She was going through some challenging times with her older daughter. She has an entrepreneur friend who she meets with regularly to work on their businesses (so they aren’t working behind their computers at home without interaction). On one day, in particular, her friend said that she just needed to go out and go for a walk. My friend didn’t want to have anything to do with that. It was a cold and snowy day and she wanted to get some work done. My friend got over her resistance and went outside. She went on a hike through the snowy woods for about an hour and a half. When she returned my friend said that she felt lighter. The lightness didn’t come from talking about what was challenging with her older daughter, it was the movement that was freeing. She said it was amazing how the movement could do that. The physiological effects of movement still amaze me. Many times we experience this with our children. 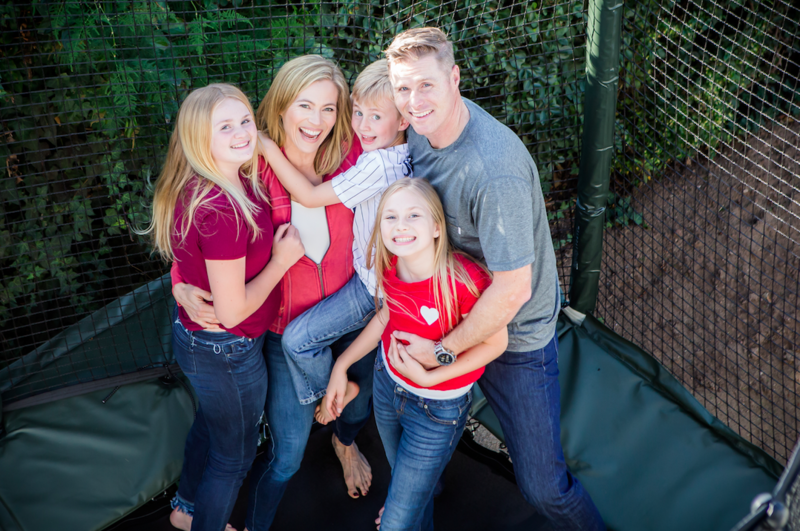 We have ideas of things that we want to do as a family that are going to be fun… then our kids put a huge roadblock in front of us like climbing Mount Everest. 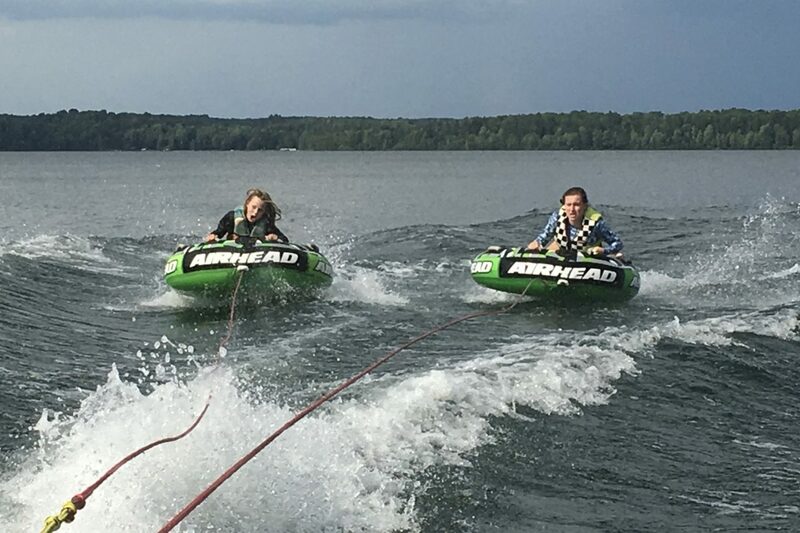 It is a struggle to get our kids to say yes, but what happened with my friend, and what happens 90% of the time with our kids, is that they recognize how freeing, enjoyable, and liberating it is to move and feel all their senses. Movement also boosts your overall mood. Some of the mental benefits of movement include feeling less depressed, less anxious, and less stressed. Sometimes I come across a family who talks about their child or their baby being content sitting still, watching, and paying attention. They talk about how this is such a good baby and an easy baby because they don’t move a lot. In the back of my mind, I wonder, what could be possibly going on with this baby that they don’t feel comfortable moving? Many times it’s kiddos like these that end up having some challenges paying attention, understanding concepts, or motor coordination later on. If you can encourage developmental coordination and help your children get some crossbody movement through midline crossing activities then you’re going to see the integration of both sides of the body…. the body to the brain… and the brain to the body. Your child may be resistant and first, but don’t give up. The more the experience movement the more they will want to move all on their own. We are blessed to have bodies that are able to feel, move, and connect. When we don’t move we clog up our brain, our thoughts, and our emotions. Movement is essential to keep things free flowing. I hope this helps you see the importance of moving to play, playing to learn, and growing with love because the more we use our brain and our body together the happier we will be! A celebrated developmental milestone is when a 6-month-old baby (give or take a few weeks) can sit up independently. But, what does that mean? The reference books say independent sitting is when a baby is placed in sitting on the floor and can remain there without help from caregivers, other supportive props or gear, or the use of their own hands for balance. But, is this independent sit functional for baby and why does it matter? 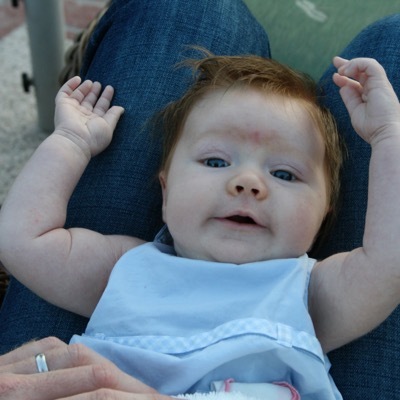 Wendi was recently featured as an expert guest on ParentSavers.com, talking about the importance of tummy time! The podcast is a total of 30 minutes with the feature interview taking place after the initial discussion about an application called Alert ID. Click on the link below to listen! We would love any and all comments! Stay tuned for a video of a Tummy to Play Everyday class from Parent Savers, which streamed live at the Your Natural Baby Fair 2013!